I recently visited my college roommate Kitty Guillory (originally from Tutwiler) in beautiful Colorado, and she served the most amazing chocolate chip cookies made with browned butter. We enjoyed them as we gazed from her glass living room at the beautiful sunset overlooking magnificent Pike’s Peak. The cookies were delicious, and I don’t think it was because of the view, even though it was wonderful, too. 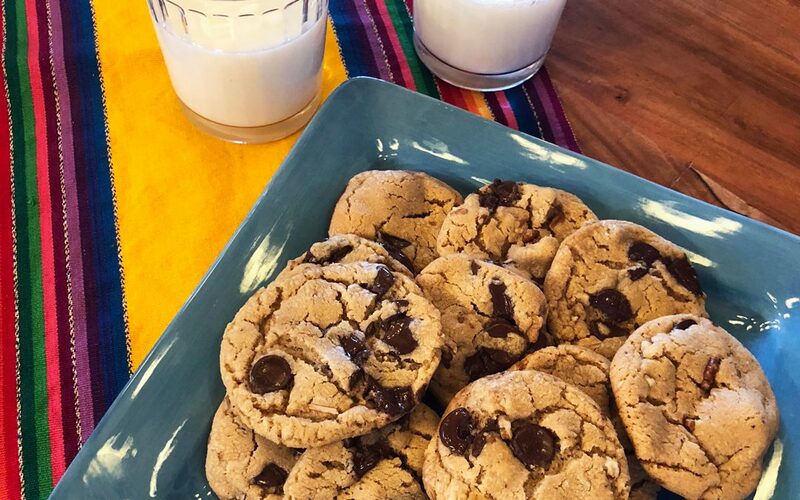 If you love chocolate chip cookies, I know you will enjoy these! After all, the recipe is from a Mississippi girl.